New Winter 2018: This handsome military ornament personalized with the recipient’s service details is designed to pay homage to their commitment to the country and to their fellow sailors. The U.S. Navy aircraft carrier honor of service personalized ornament features an impressive ship making waves and a bold NAVY logo. 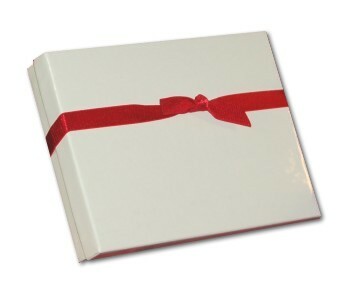 We’ll add the details to create a one-of-a-kind memento. 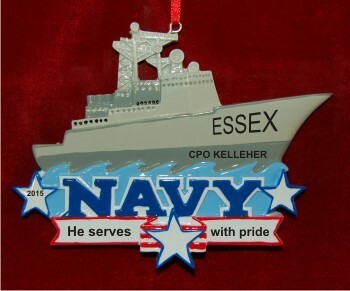 They’re added to this personalized navy ornament by hand in a font more stylish than the one shown. Ideal for active duty sailors and veterans too, the US Navy air craft carrier personalized military ornament will be received with pride and be a lasting favorite.